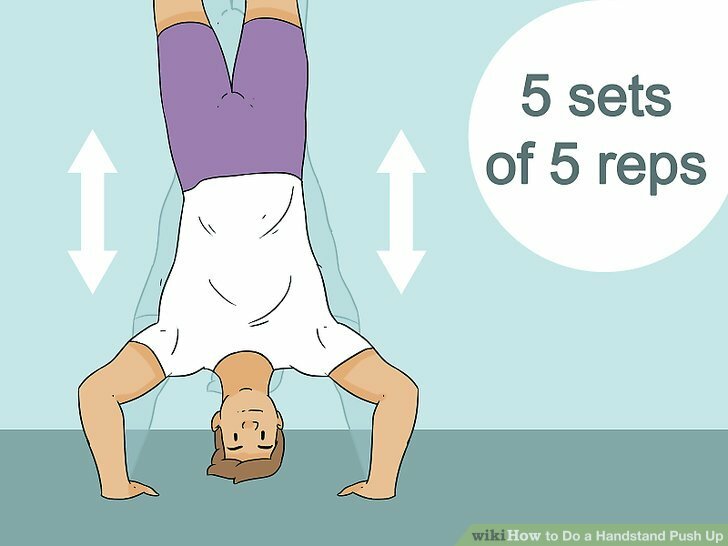 Place your hands from the wall. 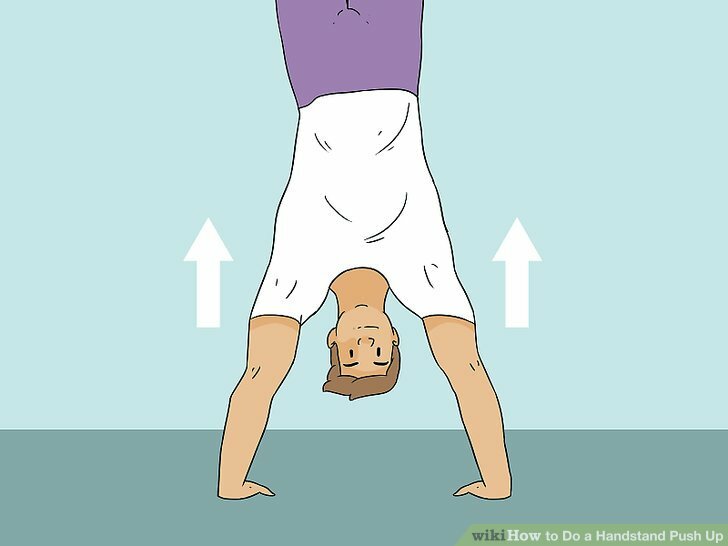 Get on your hands and knees so that you're facing the wall with your hands in front of you. 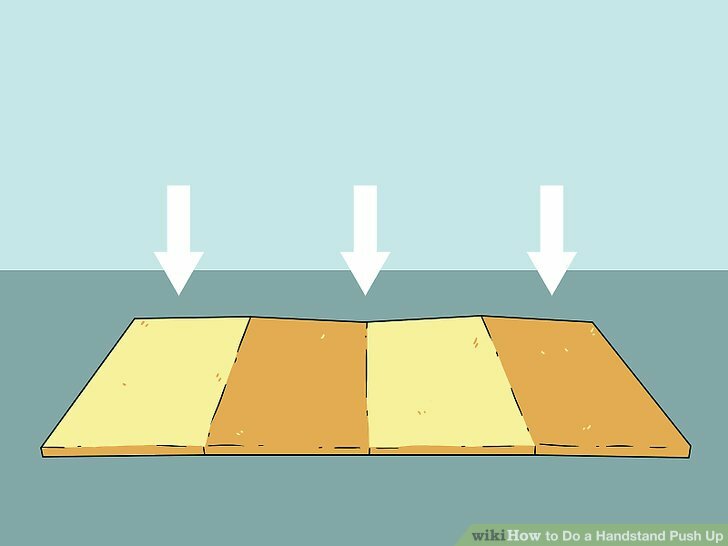 Keep your palms either facing forward or turned out 5 to 10 degrees at most. 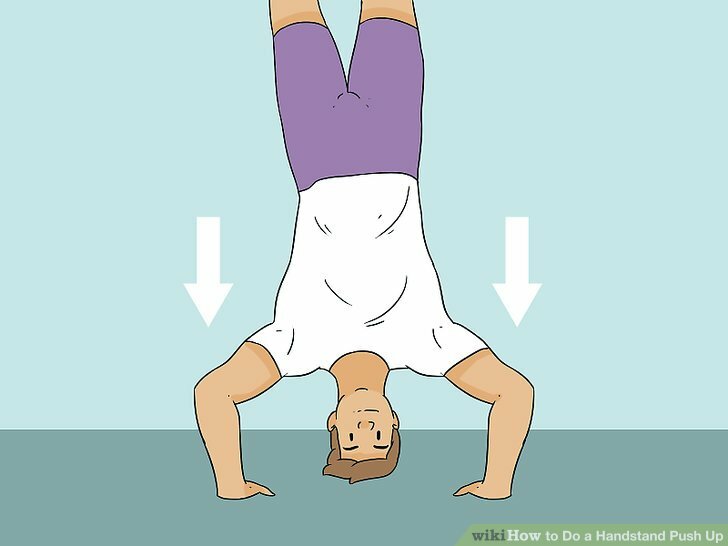 Be sure to keep your hands a bit wider than shoulder width. 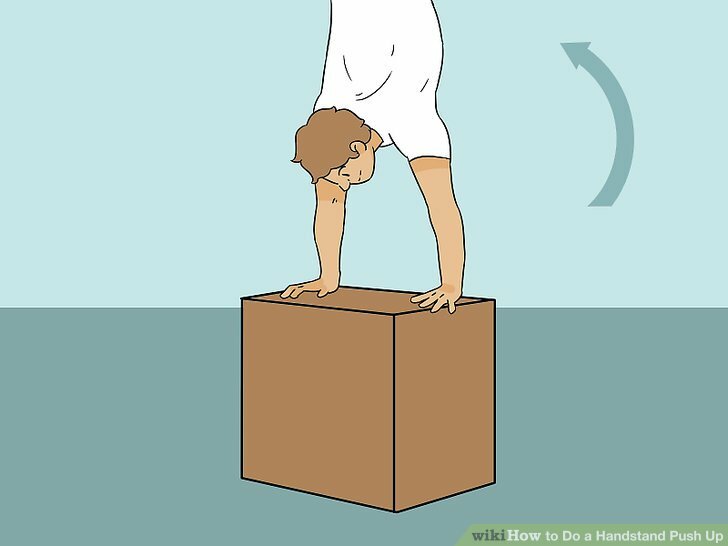 Walk your feet up the wall if you aren't comfortable kicking up. 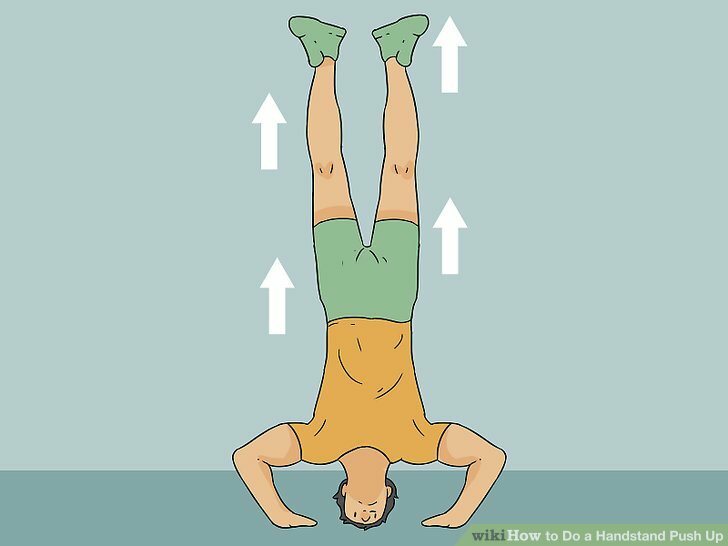 If you've done all of the preparation for handstand pushups but find it scary to kick up against the wall, you can walk your feet up instead. 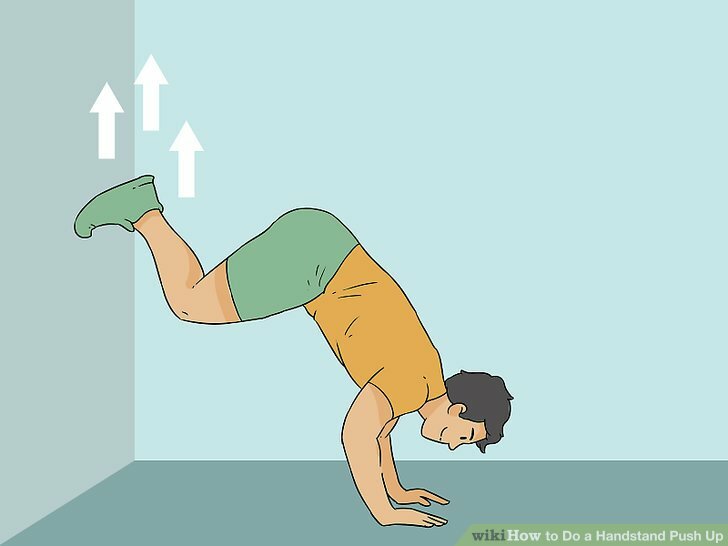 Get on your hands and knees with your back to the wall and make sure your feet are from the wall. 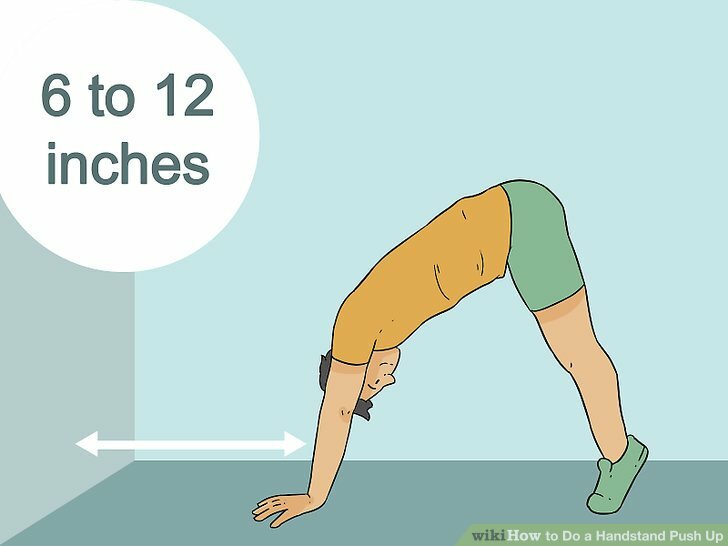 Now, place one foot against the wall, followed by the other, and walk your way up the wall. Dus Ka Dum 3 to push to next year?